Ward has gained vast experience and expertise in individual, corporate, and trust income tax. He also works with tax planning, outsourced accounting, and audits involving the IRS and state. 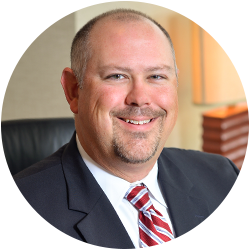 Ward sits on the Belmont University Accounting Advisoy Board as well as the Lipscomb University Accounting Advisory Board and is a member of both the AICPA and TSCPA. He spends his time outside of work with his family and can always be found supporting his children in their athletic endeavors. Ward is a fan of both Alabama and Titans football and is an avid sportsman who enjoys hunting and all things outdoors.